Through various departments and programs, the Division of Student Affairs promotes student growth and leadership development. It provides opportunities for residential and commuter students to connect and engage in the campus community while striving to provide a safe and inclusive environment. SDSU has become less of a commuter campus over the past decade, as more students lived on or near campus. 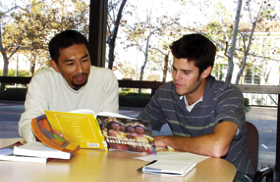 In 2009, a new Honors Residential College opened, providing students in the University Honors Program a unique community. Highly motivated students encourage each other to excel as they share experiences both inside and outside of the classroom. 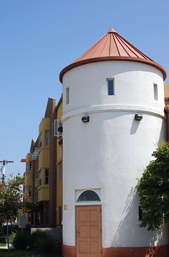 In 2001, Cuicacalli opened, SDSU’s first suite-style residence hall. In 2008, Safe Zones was created to promote an accepting, supportive and proactive environment for the SDSU’s LGBTQ* community. The campuswide initiative was spearheaded by Student Health Services and Counseling and Psychological Services. In 2010, SDSU was ranked as the No. 30 veteran-friendly university in the country by Military Times Edge. In 2010, students living on campus enjoyed a “Lunch and Learn” mini-presentation series by employers and alumni on career and networking topics. All took place during lunch and were sponsored by Faculty-in-Residence (FIRs), Residential Education, and Career Services. A revamped International House living community was named Global Pathways. It is a living/learning community created by the International Student Center and Residential Education Office. *Lesbian, Gay, Bisexual, Transgender, Questioning. 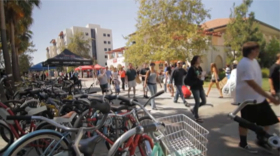 In 2009, SDSU opened the nation’s first university residence hall for student veterans. It has become a gathering place and a symbol of SDSU’s commitment to veterans. If you are a commuter student from the San Ysidro area, we have a program just for you. Casa Azteca helps new SDSU students from San Ysidro neighborhoods make friends and connect to student organizations and activities on campus. Learn more!